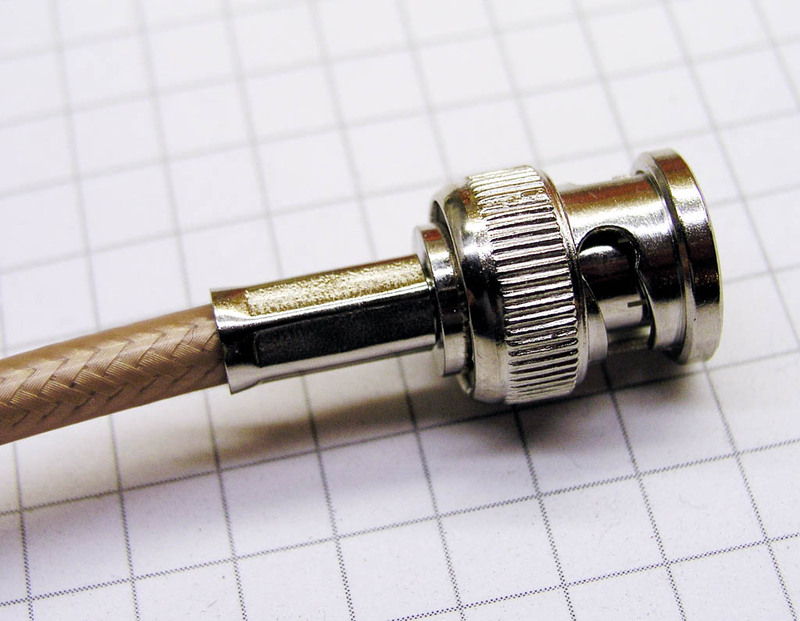 Preparing the end of a coax feedline for connector installation with ordinary hand tools takes a fair amount of skill and care. 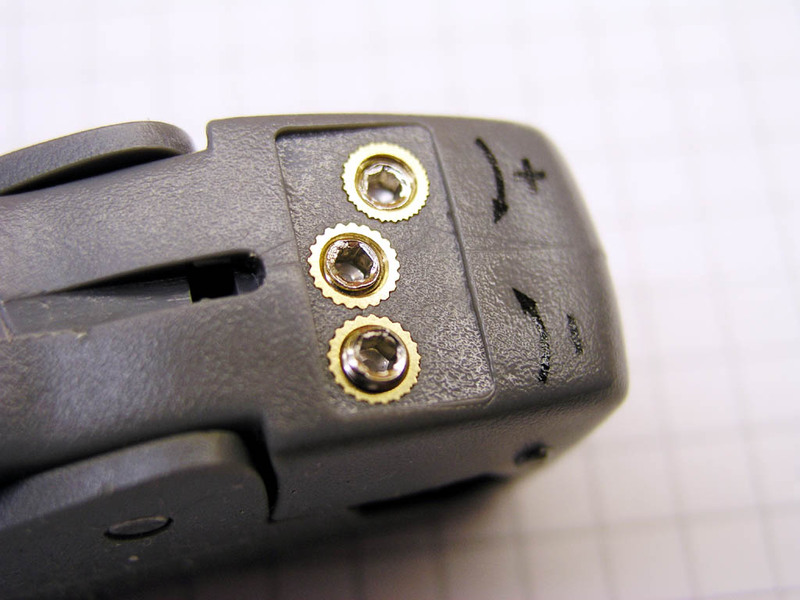 Various layers of insulation and outer braid must be cleanly cut away at locations appropriate to he connector being installed. 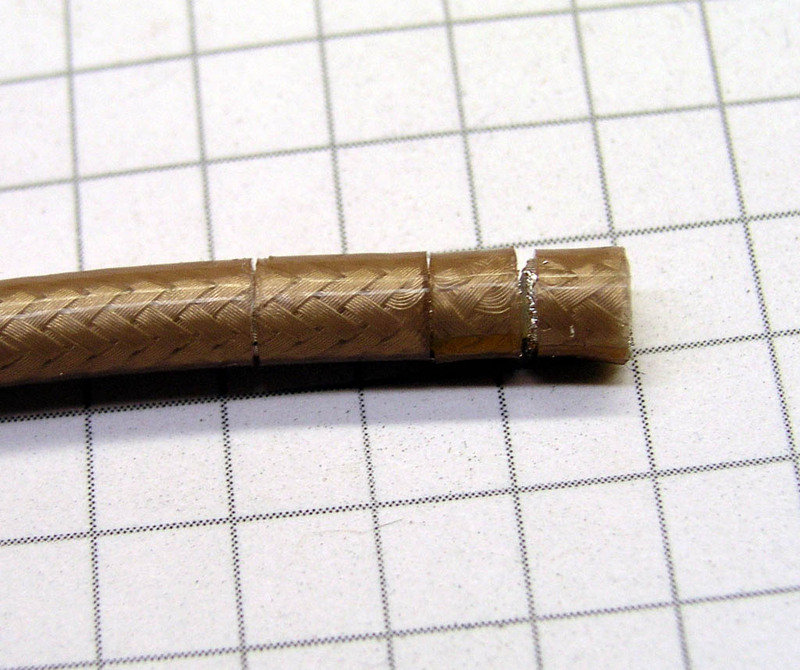 For the first several decades of the history of BNC connector installation, the technician used a sharp knife, a deft touch and some degree of skill and practice for "eye-balling" the right dimensions. Like all hand-operations, the risk for having to start over due to lack of diligence was moderately high. A number of clever tool manufactures now offer devices fitted with multiple blades, each one spaced appropriately for strip lengths and set for proper depth of cut. One such tool is illustrated here: I purchased this off Ebay for about $10. Here we see one of the blades. 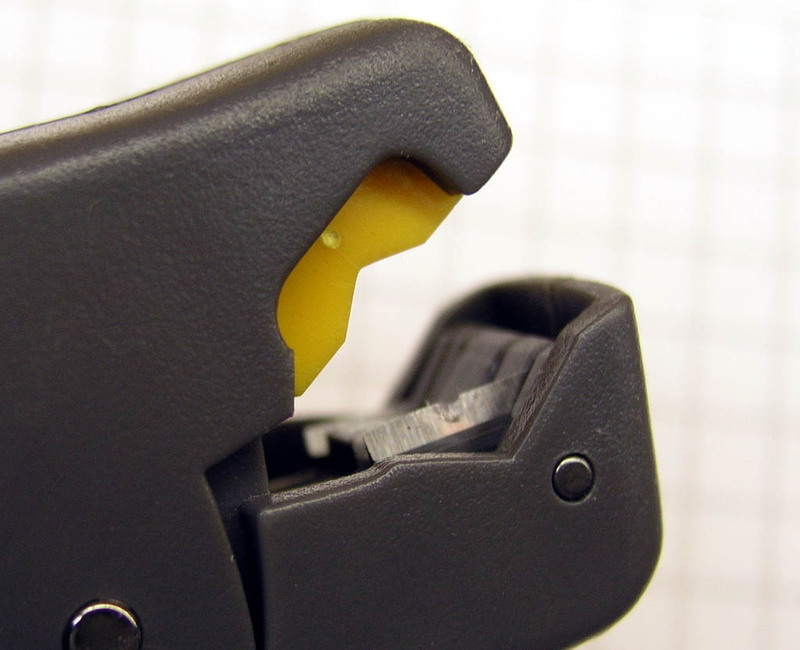 This has the deepest cut and has a notch in it to clear the coax cable's center conductor. After the tool is positioned, one simply rotates it about the coax several times. This tool has a finger hole in the far end of the handle. 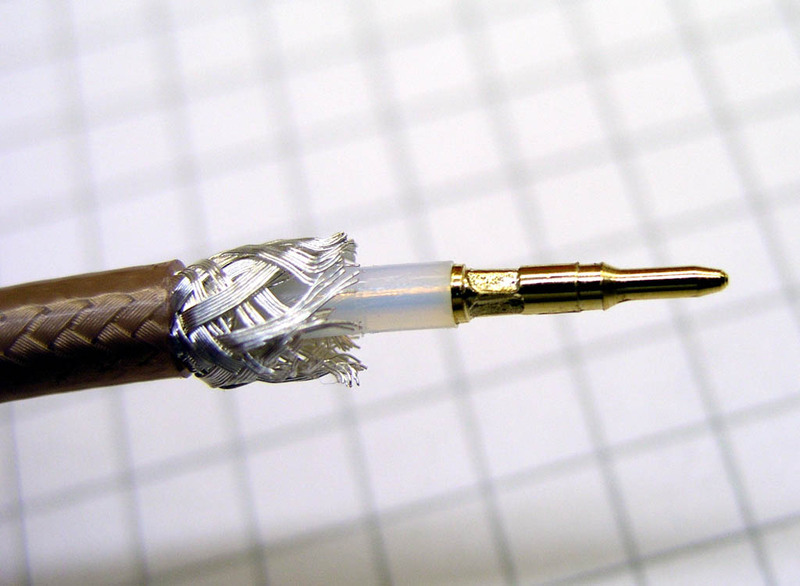 You insert a finger and twirl the tool around the end of the coax about 6 times. You can feel and hear when all cutting action ceases. 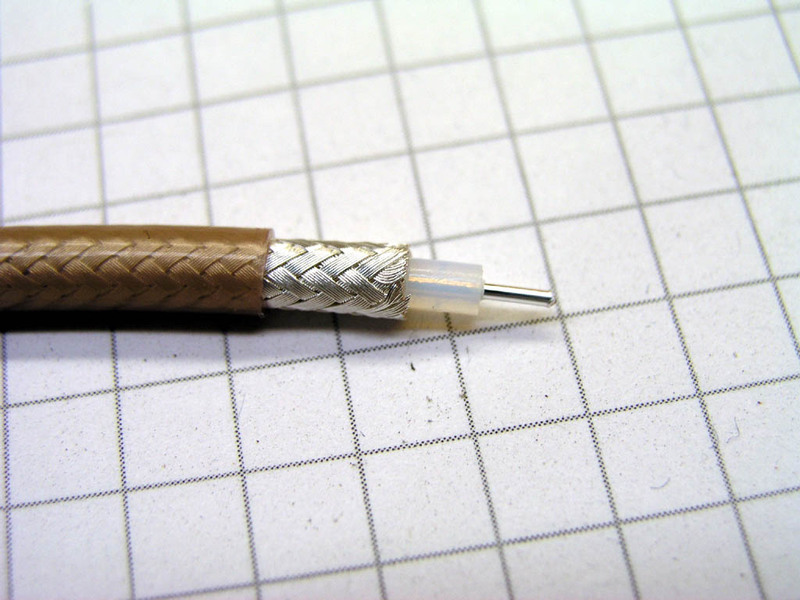 The end result provides three cuts into the coax at various positions and depths. 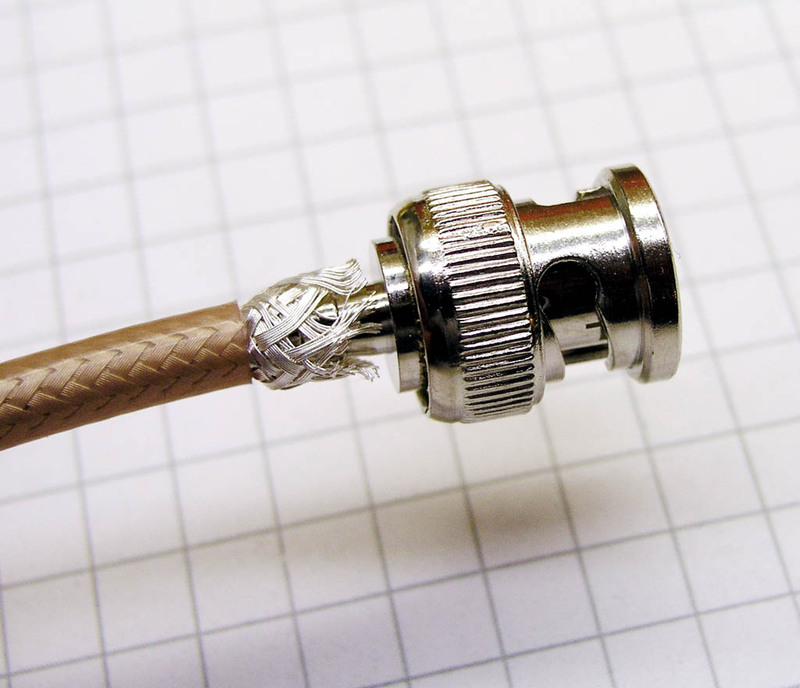 Slide the outer jacket clamping sleeve over the end of the coax and crimp the center pin. 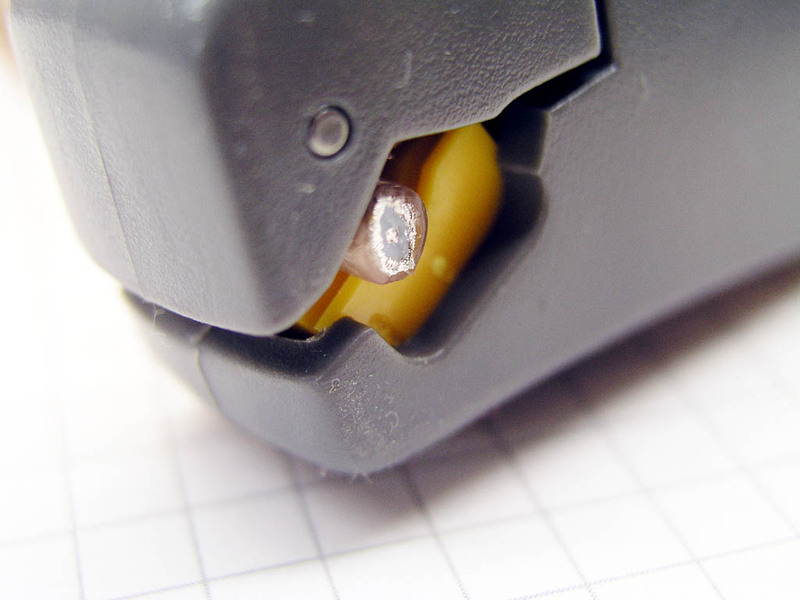 Slide the sleeve down until it's firmly seated against the back of the connector and crimp the sleeve with the appropriate die of the coax connector installation tool. There's a host of stripping tool alternatives on the market. Most will NOT be advertised as suitable for RG-142/RG-400. 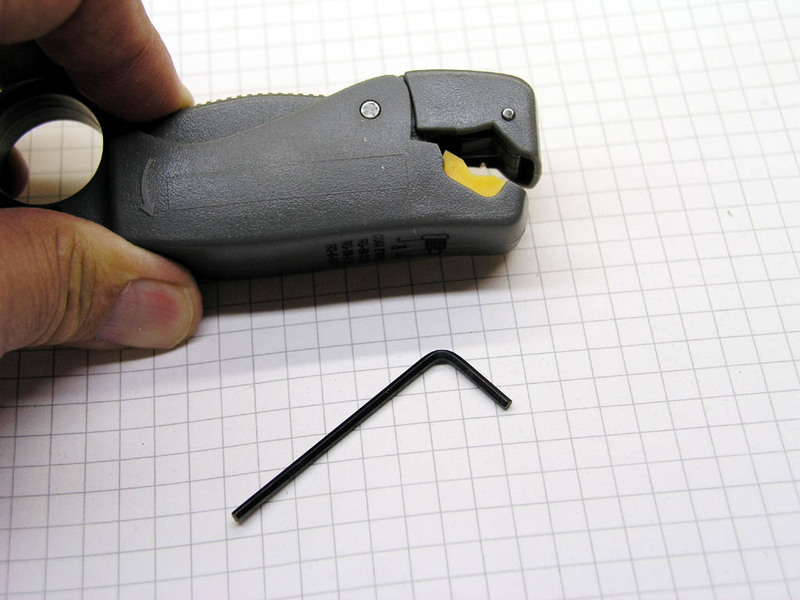 The tool illustrated here was advertised for RG-59/RG-59. As received, he blades were set appropriately for RG-142 without further adjustment but it would not have been difficult to re-adjust as needed. I did an Ebay search on "coax strippers" and found a dozen varieties of tools and suppliers. Perhaps 1/3 of the offerings included the adjustment feature.